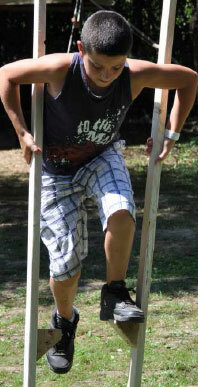 Darko has been in touch with very encouraging news from the camps through the summer! DAY 8: YU67 has landed. After covering approaching 1000kms around Serbia, meeting up with 18 Bible School graduates, delivering aid, sharing with children, helping to develop a children’s camp ground, visiting 2 churches and studying 1 John in 13 sessions… YU67 has landed back in London. We praise God for your partnership! Today we were in Pancevo visiting some of the children near to the chemical works that were heavily bombed by NATO in 1999. Many of the children were effected by this terrible time. Here are some photographs of the time of sport, music, communication and friendship that we enjoyed with these dear people. Good night from us all and thank you for your continued prayer. Today we have been at the refugee centre in Avala on the south edge of Belgrade. As we arrived officials from the government had just left with the terrifying news that all of the refugees here had one month to move out or they would be moved to another camp possibly hundreds of miles from this one. Children are going to have to move schools, adults find new odd jobs… for some this feels like another forced evacuation similar to the one that they suffered in 1999 when they fled Kosovo. As we do on each visit, we met together with all from the camp, exchanged greetings and caught up on each other’s news… Elenka – one of the Bible School team shared her story. For the next two hours, we gave out the aid we had brought, sat and chatted further in people’s rooms or played football with some of the children. It has been a significant day and we pray on for these friends who are facing such an uncertain future. As I write we are driving towards a refugee “camp” where around 100 refugees from Kosovo make their improvised homes. The “camp” is actually an old derelict psychiatric hospital that was recommissioned as temporary accommodation when these refugees flooded out of Kosovo in 1999. With every year that passes, the prospect of returning to their homes becomes increasingly remote. We have been friends with these people for many years. Today as we spend time together we will be bringing aid with us and carefully distributing it personally. But more than this, we will be sharing about the Lord Jesus – God’s ultimate expression of Love to a broken, lost and hurting world. 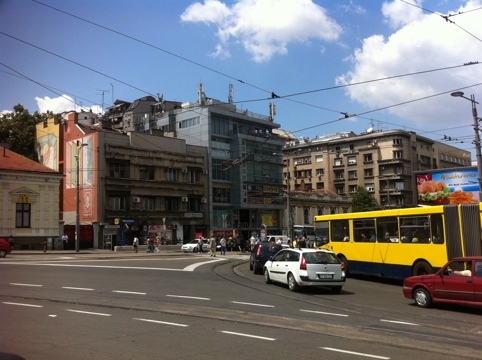 On our journey, we are now passing ‘Slavija’ in the centre of Belgrade. One of the Bible School graduates – Riste – will speak to the refugees and Elenka will explain how Jesus Christ has changed her life. Pray that we would faithfully continue our friendships, serve in humility, and communicate clearly – through it all reflecting something of Jesus here. Thank you for praying with us. Greetings from us all.